Paraffin restricting flow; we can help!! 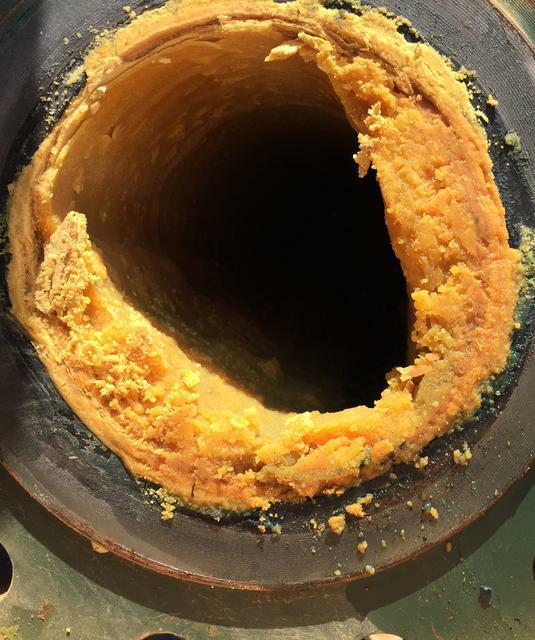 • This is a 6” flow-line from a well-head." • Producer was Continuously injecting chemical from one of the Major Chemical Co. to prevent paraffin deposition." • As you can see, it wasn’t working"